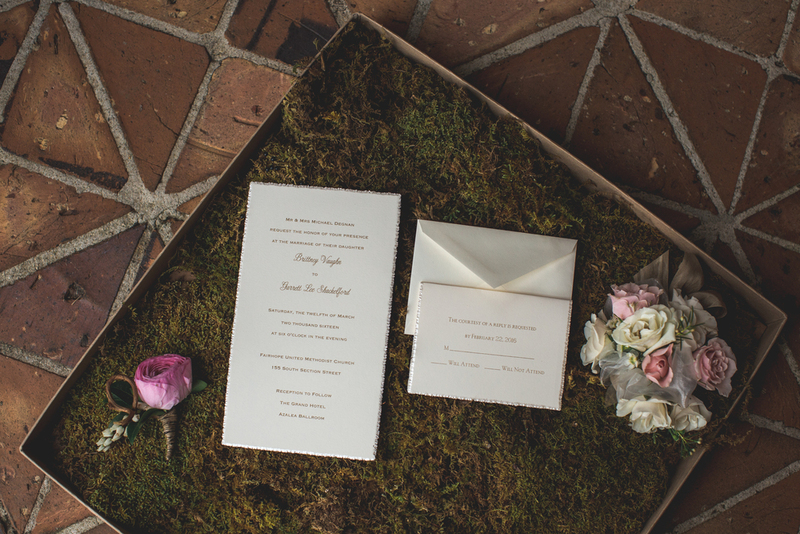 Jenna Laine Weddings can help you create one of a kind stationery, save the dates, and invitations. We work with several stationery lines, which ensures that we have something for everyone in any price range. 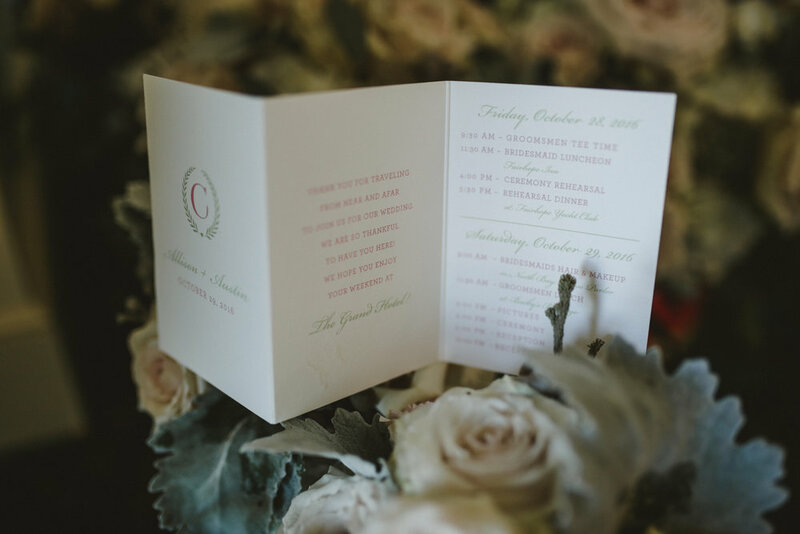 We also work with a few local vendors to design custom monograms, programs, favor tags, and other paper items to ensure that all your paper products go together seamlessly. Walk ins are welcome, but a prescheduled appointment is preferred. Contact us at 251-929-0485 or email us at info@jennalaineweddings.coma to set up your appointment. 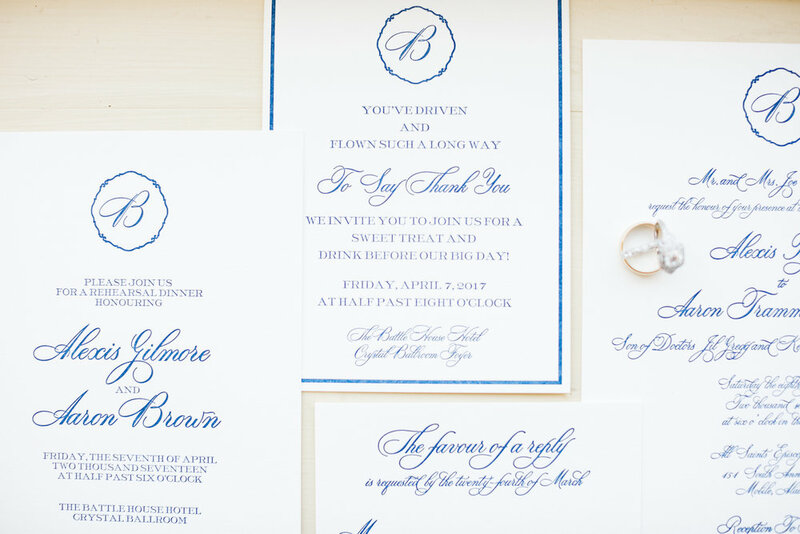 We can also design without an in person consultation as digital proofs are provided for all items.